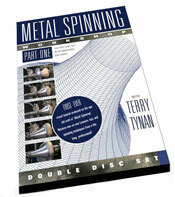 This innovative Metal Spinning DVD is the first ever-visual tutorial produced on the age old craft of Metal Spinning. 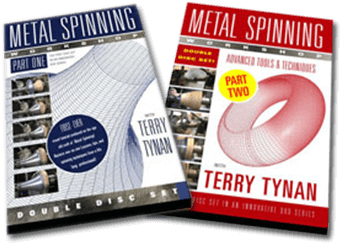 You will receive one-on-one lessons, tips, & spinning techniques from Terry Tynan. 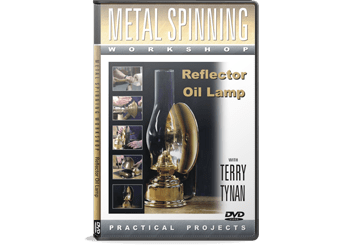 This innovative Metal Spinning DVD is the first ever-visual tutorial produced on the age old craft of Metal Spinning.You will receive one-on-one lessons, tips, & spinning techniques from Terry Tynan, a life long professional metal spinner, from the comfort of your own workshop or home. 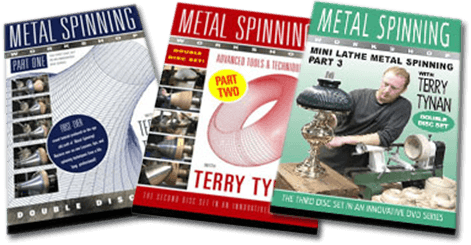 The first chapter of the ” Metal spinning workshop” DVD concentrates on the fabrication of Ferrous & Non Ferrous metal spinning tools, cutters & trimmers. 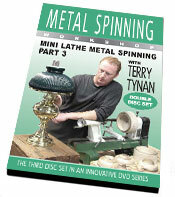 Chapter 1 explains how to fabricate a whole set of spinning tools which are then used through out the DVD. Beading is the process of rolling the material on the edge of the spinning. This section explains the technique and tools used to achieve a beaded or rolled edge. If you already own a wood turning lathe then your just a step away from owning a metal spinning lathe, this chapter explains how to make a few simple changes to a turning lathe, and convert it into a fully functional metal spinning lathe. If you don’t already own a turning lathe,don’t worry the lathe chosen for this chapter is an 1/2 HP 10″ swing mini lathe, the most economical lathe we could find. At a cost of $150.00 for the brand new lathe and an additional $30.00 for the conversion this is an exceptional starter lathe, bringing metal spinning well within the reach of hobbyists or new- comers to the craft of metal spinning. With only 1/2 HP motor and 10″ swing this mini lathe can produce some remarkable spinning work, it’s not the size that counts, it’s what you do with it. Chapter 3 guides you through the process. Utilising the correct posture while working at the spinning lathe for long periods of time, especially while working on heavy or large work, can almost be effortless if you utilise the correct posture. This chapter explains how metal spinners manipulate their whole body weight to manoeuvre the material across the mandrel. Stance, balance and spinning technique are also covered in this section as well as lathe safety. Disc two focuses on the four basic shapes you will need to master before you begin producing your own designs and spinning projects. The Hemisphere, Cylinder, flute & Cone. The tutorials take you step by step through each shape. Explaining the techniques and methods used by professional metal spinners to produce these complicated shapes. There are eight tutorials see photos below. Speed, the speed at which the spinning tool moves over the face of the material. Control, the amount of control the metal spinner utilises while working with the spinning tool. Pressure, how much pressure is placed onto the material as it is worked. The above three factors, are all essential, if you want to produce a quality spun product, this chapter explains in depth, the above three factors. Speed, control & pressure. You will see first hand, how a metal spinner manipulates the material into an almost fluid state, as he works the material to the mandrel. The first chapter from the video opens with “Material Preparation”. Being able to produce a circle or blank ready to spin on the lathe might seem a simple task, but without the right equipment and know how it can be very time consuming and costly. Terry talks you through the most available of tools from tin snips to purpose built circle cutters. Stretching is often believed to be a bad thing but used correctly it can also be very beneficial, Less material and higher tensile strength can be obtained from the process of stretching the material, but there are also draw backs, thinner wall thickness and longer production times.  This chapter shows you how then lets you choose the method which best suits your application. Lapping then locking two spun parts together is a process which is employed in many spinning applications. This process will lock two parts together so tightly that there is no need for welding, soldering or finishing, saving you time and money. This chapter shows you how to make the tooling and then how to lock the two parts together. We’ve all done it, novices and professionals, split the piece while trying to spin the material tightly into a corner. Time to put what you have learned in part 1 & 2 into practice, A full scale oil lamp spun on a 1/2 HP mini lathe. Just one of the projects. Our range of metal spinning tools will get you started on creative metal projects. Whether you have a metal spinning lathe or a wood turning lathe – these products check all the boxes. Practice what you have learned with pre-cut aluminium metal discs. We offer a range of sizes in aluminium. If you have a special request – please don’t hesitate to contact us. Metal Spinning Workshop is also a ‘working’ workshop. We create bespoke items for companies and design houses. Please get in touch with dimensions/drawings/quantity and we will get you a quote. We offer face to face training on our metal spinning machines. We tailor each class to suit your needs. Terry Tynan has successfully instructed over 100 individuals / businesses to bring prototyping in house. 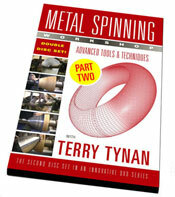 Terry Tynan is a premier merchant offering metal spinning lathes. If you don’t see what you are looking for – please contact us as our stock can change. We also offer packages that include classes and a circle cutter (if available).